The PSSA are running a ‘Mass Build’ modelling project in 2014 and we’d like to invite you to participate! Our aim is to get as many PSSA members simultaneously building from 1st February and flying their new PSS model at our June 2014 PSS ‘Fly for Fun’ event to be staged upon the Great Orme, Llandudno. Of course if you are not a currently PSSA member, but would like to take part, do drop me a line at webmaster@pssaonline.co.uk to join us, membership if FREE! We think this fantastic 39” span model ticks all the boxes, and we feel the mass build idea is an exciting way to promote PSS both in the UK and abroad, increasing our active ‘footprint’ in the magazines and on internet forums. The Jet Provost plan is already commercially available through Traplet publications (plan ref MW3182) and over the past few weeks Traplet have very kindly produced a laser-cut woodpack and vac-formed canopy specifically for our use. The woodpack contains all the pre-shaped balsa and liteply parts you’ll need to complete this model, only some additional balsa sheeting and strip stock is required to finish the airframe ready for covering. These packs are available to purchase now - £70 plus P+P to PSSA members for the Plan, Woodpack and Canopy, or £15.50 plus P&P for the plan and canopy only. Once everyone is registered, we’d like building to commence from 1st February 2014 - obviously you could make a start a little before or anytime after but we’re keen to get folk building simultaneously allowing the sharing of ideas/lessons via threads in this dedicated section this forum, aiding other modellers whilst they are at a similar stage of the build. As with other mass builds completed on this forum, I’d invite you to create your own thread to cover your individual JP build, whilst there will no doubt be other general question threads popping up as we progress. 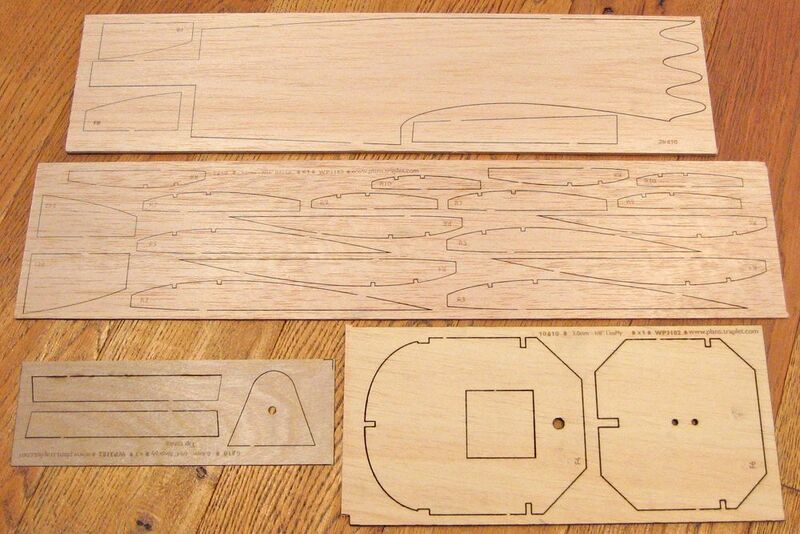 Construction from the plan is straight forward (especially so with the use of the laser-cut parts!) so starting in February will give more than sufficient time even for the slowest of builders to be ready for flight by June. For those completely new to PSS or building from plans we encourage you to have a go, this really is one of the main drivers of the exercise! There will be loads of help along the way from others taking part here on the forum – this is a great opportunity to learn new skills and create a model of your own to be proud of! We hope you feel this is an exciting and fun way to promote PSS and getting more of our members building and learning or teaching. It should certainly deliver a spectacle to remember up on the Orme and give a revised feel to one of our usual ‘Fly for Fun’ events. If you would like to take part in the mass build project please do let me know, contact me on 07772 224719 or email webmaster@pssaonline.co.uk to register your participation. Traplet are ready and waiting for your order – call them on +44(0)1684 588599 and don’t forget to use the special code issued to all PSSA members to obtain the parts at the discounted price as quoted. But what size motor does it take?......of course I am joking -I know what PSS is but I think you should explain it if you want to attract newcomers! For any more info on PSS and the PSSA see our website HERE. Great idea Phil, look forward to seeing models progress. Thanks for your reply Phil - it may help newcomers to realise they dont have to spend hard earned money on motors & lipos. The photo is very tempting and I nearly went and bought the plan but then I realised Essex is too flat for PSS .....unless somebody knows otherwise. Great idea Phil - have registered. My cut kit etc arrived this morning! and we will see what can be done locally. What a lovely well drawn plan, the longer I look at it the less I feel I want to change! That said it just has to have a rudder for me. Maybe glue hinged, but haven't quite figured out how to keep rudder actuation hidden yet. Maybe a removable section in the rear bumper area to get at control stuff easier? Aught to be able to save the rudder servo weight by judicious lightening in the front structure and/or reposition rudder and elevator servos a bit. Maybe some work on hollowing the wingtip furniture to reduce the roll inertia, maybe a press moulding or some such. More detail thinking to do before we make the shopping list for all other parts and get out the glue. 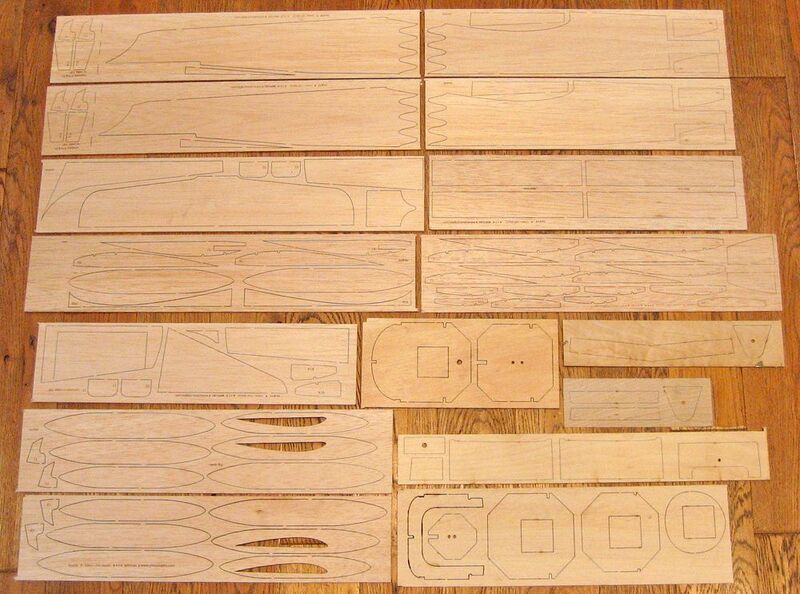 Looks like one order to Balsa Cabin and one to HobbyKing will do it. It's a NY resolution to sort first all the tricky stuff one tends to leave until last and then have not many options left. 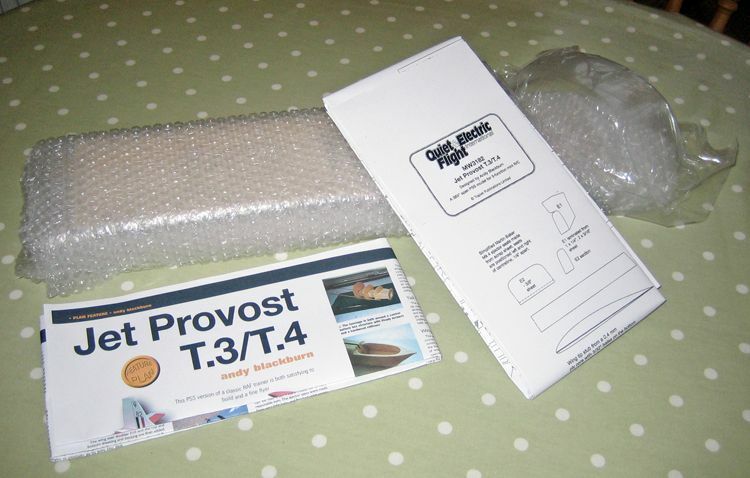 I've received my Jet Provost plan and wood pack now too, and as a way of rounding off this 'general intro' section I thought I'd show you what you get for your money before we move into the build blogs properly from the start of next month. Of course there's still plenty of time to place an order and receive your parts prior to the planned build starting from 1st Feb. 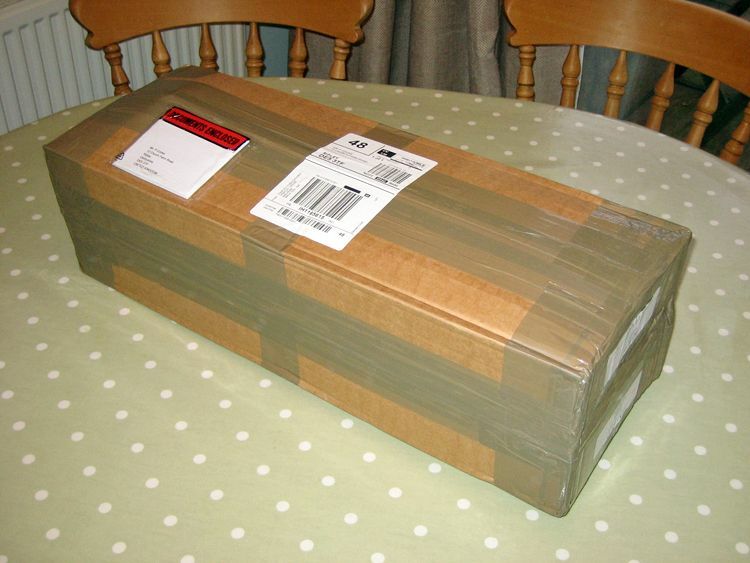 Here's one of the kits - in the bubble wrap, the woodpack consisting of 11 balsa sheets and 5 ply/liteply sheets, each neatly laser cut with all the preformed parts required. Along with the woodpack you get a vac-formed canopy, the full-size plan and a printed copy of the original Andy Blackburn Jet Provost article when it was first developed back in 2006. This provides a useful insight into the build ahead, with various stage photos to guide the builder. The laser cutting is very accurate, really impressive, with a fine cut line. 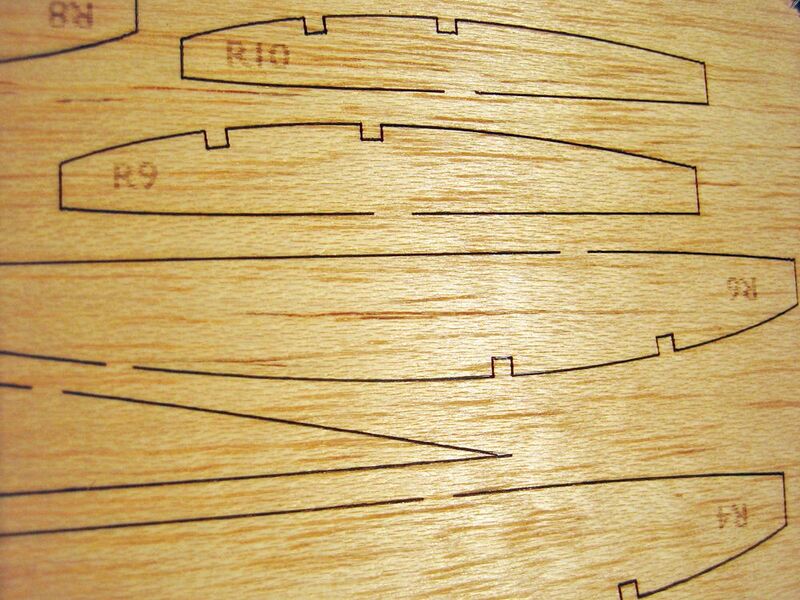 The balsa selection appears good too, in accordance with the design requirements. Look closer still and you can appreciate the quality of the laser cutting. Each piece is removed from the sheet by cutting through the little balsa tabs that are left uncut by the laser. This should all go together accurately and quickly once we get under way... remember, our intended timeline sees the mass build commence from 1st February. 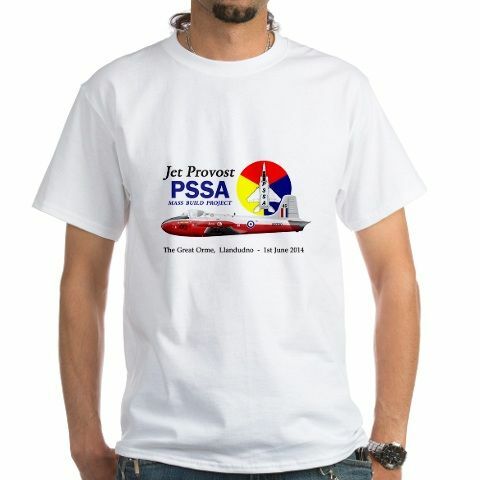 If you would like to take part but have not yet registered please drop me a line at webmaster@pssaonline.co.uk - there is already a good number of us planning to build but its our intention to assemble as many Jet Provosts on the Great Orme in June as possible, so please get your part orders placed and come and join us!! 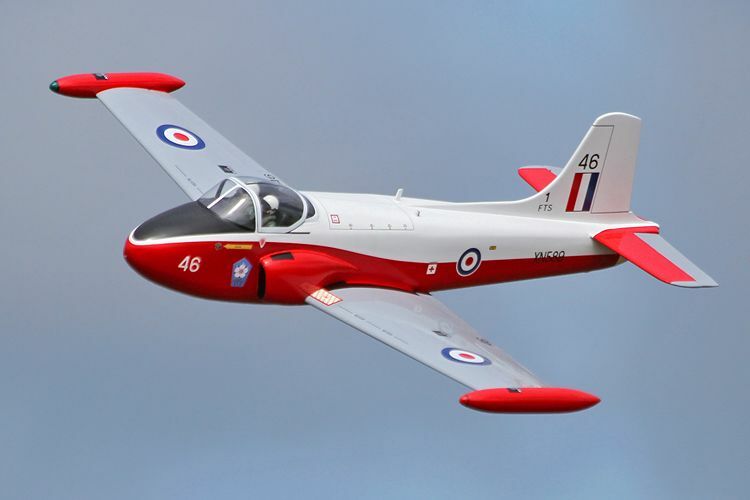 The date has been set for the PSSA event on the Great Orme where the Jet Provost Mass Build will take place - a 2 day Fly for Fun event running 31st May/1st June 2014 - with the JP being given centre stage on the 1st June. More details can be found on the PSSA website HERE - See you up there with your JP!! Don't forget there's still time to place your parts order and register with the PSSA to join us for the Mass Build Event on the 1st June. Contact me at webmaster@pssaonline.co.uk if you'd like to take part. For those already registered, remember the builds can commence from 1st February - THIS WEEKEND!! 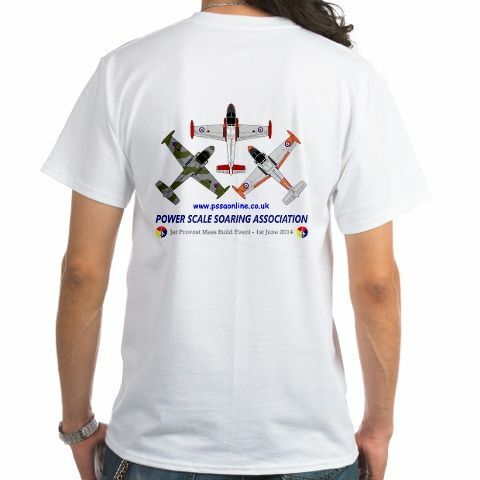 I thought it might be a nice idea for participants to have a memento from the PSSA Jet Provost Mass Build, and having had a play around with a couple of designs, I'm preparing to place an order for some 'Mass Build' T-Shirts in time for the event. The T-shirts are working out at £12 each including bulk delivery from the supplier to my address. I'd like to tailor the order to demand, so if you would like one (or more) please send me an email to webmaster@pssaonline.co.uk stating your chosen size (note there is a small surcharge for the 3XL shirts) - payment methods can be discussed by return mail. If you are attending the event on the Orme 31st May/1st June I can hand the shirt to you on the day, or, if preferred, I can mail them to you in advance at cost of postage. I look forward to hearing from anyone who's interested. Very nice Phil! Laser pack just turned up, so build starting tonight. Will get in touch about the T-shirt too. As I said to Phil in the email, the T-Shirt is a great idea. There will be 300 Jet Provosts in the air. We will all end up flying each others, then land and be unable to tell who is who because we will all look the same. I am going to organise a Welsh Fishing boat in Llandudno harbour to pick up the blown away models. Nice idea I'll get in touch about the T-Shirt as well Phil.